Pokemon GO—gone before our eyes? MANILA, Philippines – Niantic’s virtual reality app may be the most popular game right now in the country, as it was freshly released last August 6. Well, it’s not truly the case right now in the world. 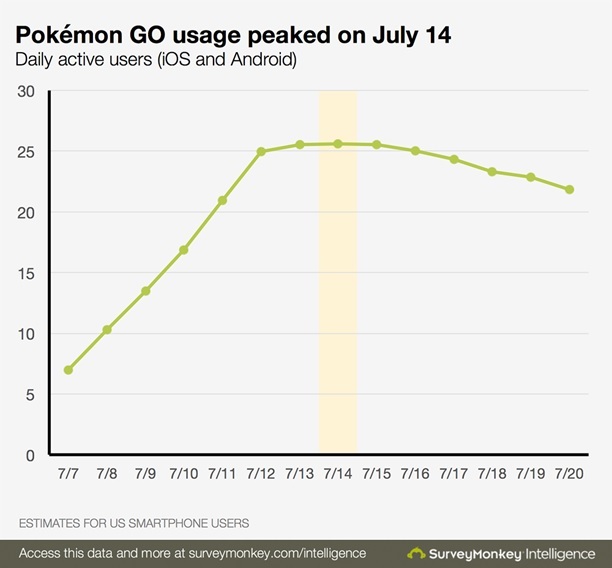 A recent report made Survey Monkey Inc., claimed that Pokemon GO has reached it’s peaked in the US soil. According to them, the game user’s base hit 25 million players in the United States last July 14, a week after its premiere in US. It has been declining ever since. 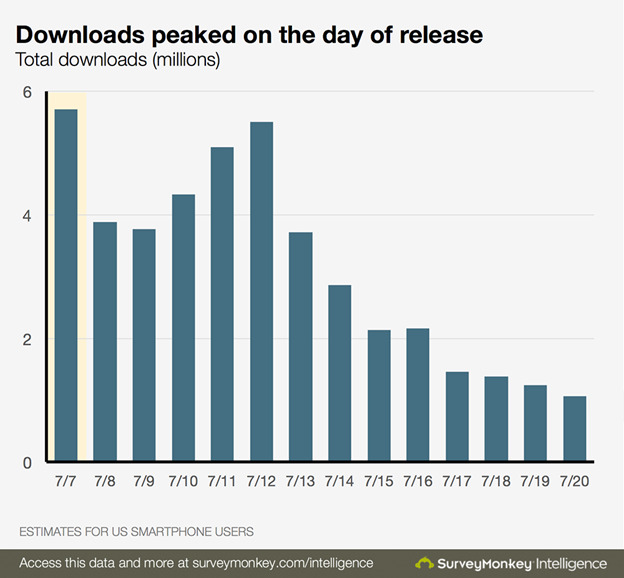 Same goes to the download reach which peaked on July 12th , but then decreases. 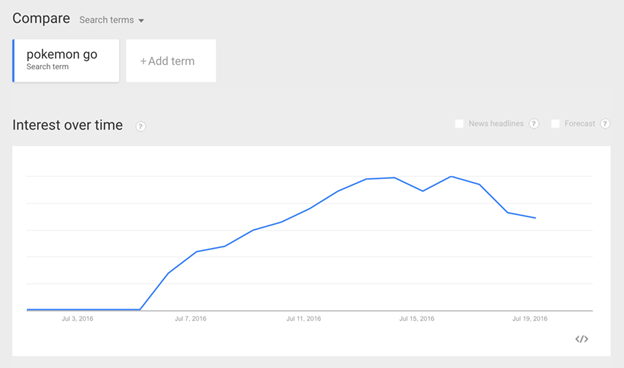 As to the search interest that peaked on July 16th, which gradually falls after. First were the often server issues that bugged the players since the release of the game. Second, players complain that the virtual reality game goes aggressively harder as the player level up—especially if the player isn’t keen on spending hours to get on double-digit levels. Pokemon GO might have been slowly declining in US, the fever is still on Canada, Japan, Great Britain and even on Asian countries especially here in the Philippines. Niantic Labs has said to just finish the game’s worldwide release before adding additional features, like training, trading and maybe even the most awaited—real time Player vs. Player Pokemon duels. 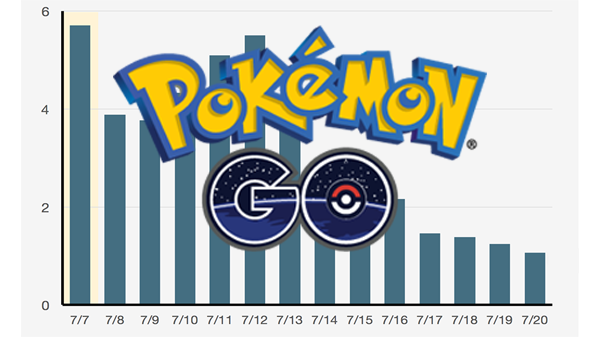 Pokemon GO continues to dominate on both Google Play and Apple App Store charts proving the well-loved childhood videogame’s spotlight that isn’t over yet.